High-pressure valve springs can be used on exhaust and intake valves for all high-performance applications. They feature a shorter, fully-compressed height and allow for increased valve lift. 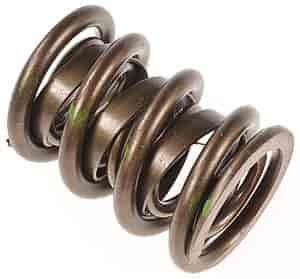 Springs maintain spring load at higher RPM. A must for high-performance cams. Sold individually. With a single spring, the damper is installed inside the main spring; with a dual spring, the damper is installed between the inner and outer springs. There are no dampers in the triple springs. Does Mopar Performance P4876064 fit your vehicle?